So you’ve got nowt in your pantry other than a few onions, a stick or two of butter and half a bottle of wine in the fridge? Believe it or not, you have virtually all the ingredients necessary to whip up a true classic – French onion soup! A tragically maligned stalwart of French cuisine, onion soup is a relic of 80s bistro fare that most of us are simply just too cool to admit to liking these days. Once considered the epitome of a classic soup, this wonderful dish has been woefully neglected in recent years; a travesty that bares testament to the fact that even the greatest dishes can eventually fall out of favour. Food fads and fashions come and go, but French onion soup deserves so much more and is, finally, enjoying somewhat of a revival and is being appreciated for the old school classic that it is. 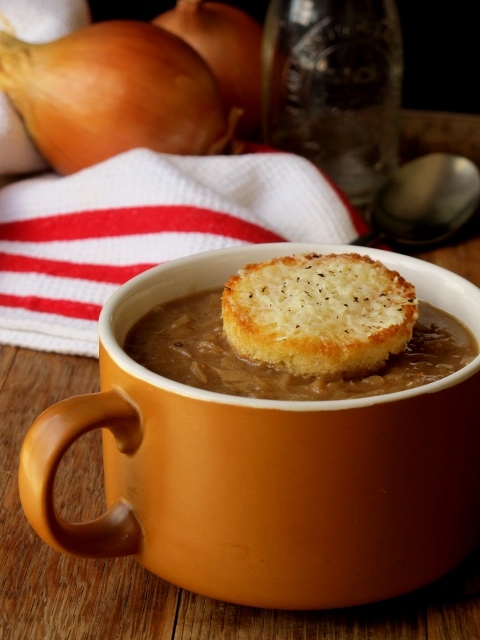 So why, oh why is a good French onion soup still so hard to come by these days? Sadly for what it lacks in fancy ingredients, French onion soup demands in effort and undivided attention, which is probably why a good bowl of this sweet and sour delight is so difficult to find. 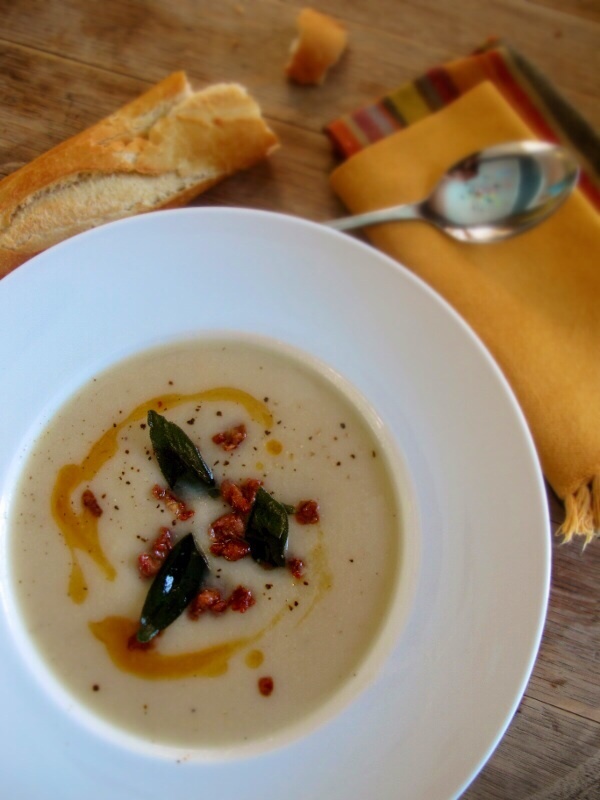 Simply given the sheer amount of time needed to diligently ‘guard’ your onions against burning, I sometimes doubt making this soup is always compatible with the rigours of a modern commercial kitchen and is, perhaps, more suited to home cooking. Not that I want to put you off, but making good French onion soup is the culinary equivalent of watching paint dry and should only be made when you’ve got the time to do it properly, without any distractions. After all, like so many French classics, onion soup is about transforming the humble into the divine and if that was meant to be easy, it simply wouldn’t be French. Along with its Provençal cousin bouillabaisse, Salade Niçoise is the perfect example of peasant food made good! Hailing from the Cote d’Azur in the South of France, Salade Niçoise has always been popular and is considered one of the classic salads of the world. Whilst it’s undeniably a dish of humble beginnings, its ingredients have grown in sophistication, along with the salad’s popularity. Quail eggs, seared bluefin tuna steaks, asparagus – all have found their way into Niçoises the world over. Whilst traditionally the inclusion of tuna in a Niçoise Salad is by no means a given, there was a time when good-old tinned tuna would suffice. Nowadays however, seared tuna steaks seem to have become the norm in swankier eateries. Controversially, I personally still prefer some good quality tinned tuna over a slab of seared tuna any day! Not only do I think it’s a criminal waste of precious, overpriced tuna, it is also often a tad bland and doesn’t stand up well to the intensity of the other ingredients. Good tuna deserves to be the star of the show and in a Niçoise, though, it is often lost in the riot of competing flavours. Save it for sashimi, I say. It seems, however, that I’m in the minority in my tuna preference. So much so, I’ve even had waitrons apologizing because the Niçoise salad on the menu was “just” made with tinned tuna. They usually seem a bit surprised when I order it in spite of their dire warnings and forebodings! 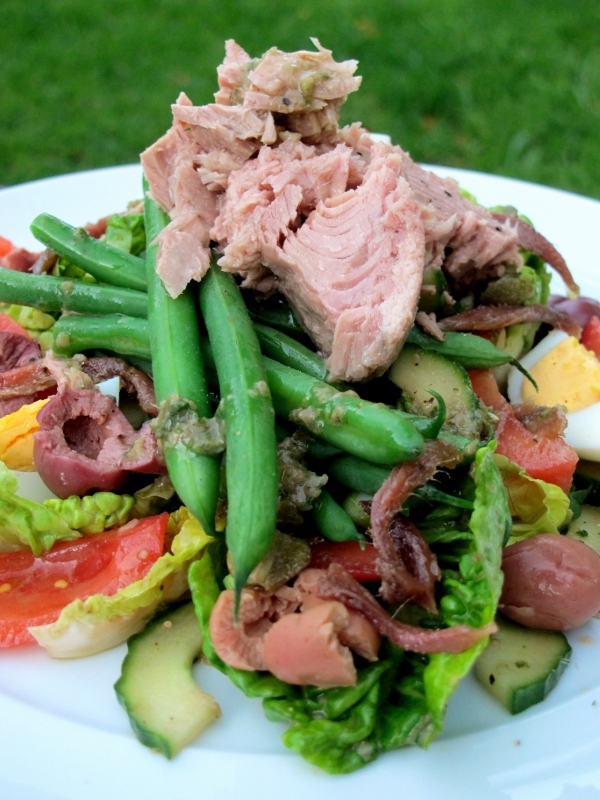 The truth is that a lot of things can make for a bad Niçoise salad, good quality tinned tuna isn’t one of them, but if seared is your thing, please don’t let me dissuade you! These days just about anything passes as a Niçoise salad, in fact, there is really no definitive version of this classic French salad. Whether it be the anchovies, tuna or potatoes, everybody seems to have their own ideas with regards to which combination makes for the perfect Niçoise. To be honest though, as with most things, it really comes down to personal taste. Carb-conscious? Ditch the potatoes. Not fan of tuna? Leave it out. Hate anchovies? Eat a different salad! 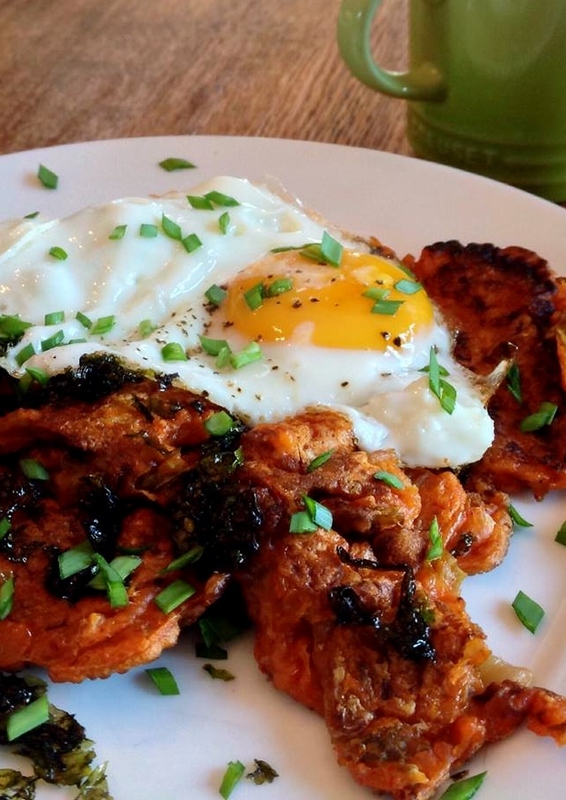 So great, you’ve made your first batch of mak kimchi and now you’re probably wondering what the heck to do with it? One word: pancakes. 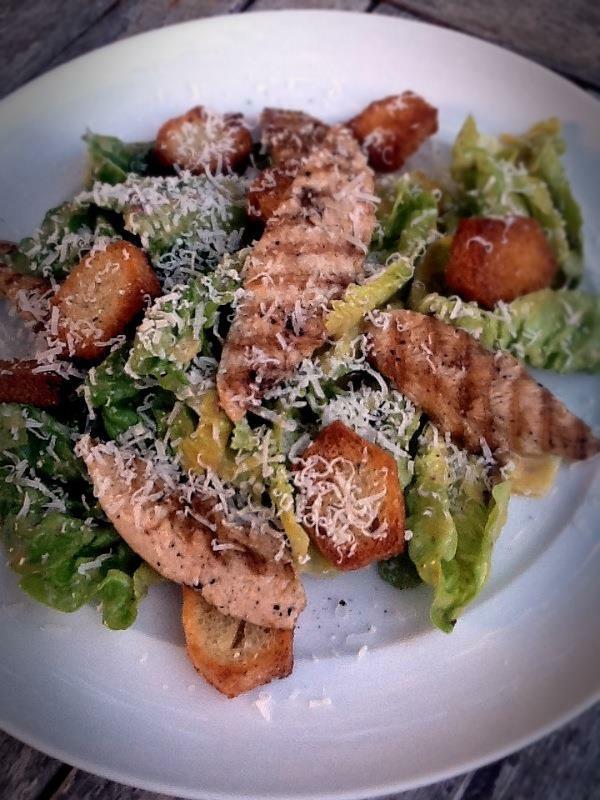 The first time I ordered a Caesar Salad I was completely overwhelmed, but not in a good way. It was just too salty, too greasy, too cheesy – it was just too much of everything and yet tasted of nothing in particular. Undeterred by this travesty of a salad, I decided to try making it at home. I told myself that such an iconic salad couldn’t possibly be so bad and I was right, it’s actually tastes bloody incredible! Done right, a Caesar Salad is salty, it is cheesy and yes, it is greasy but it is all a question of balance. The salad should be light but robust, subtle but punchy. In my opinion, the key is the lettuce-to-dressing ratio – get that right and it will make all the difference. Admittedly the addition of the grilled chicken is an aberration but hey-ho, I’m no Caesar purist! I find the chicken lightens the overall dish and turns the salad into a substantial meal…and whilst I’m owning up to culinary aberrations, I also prefer using baby gem lettuce over the traditional cos! Scandalous I know, but I’m just muddled that way. 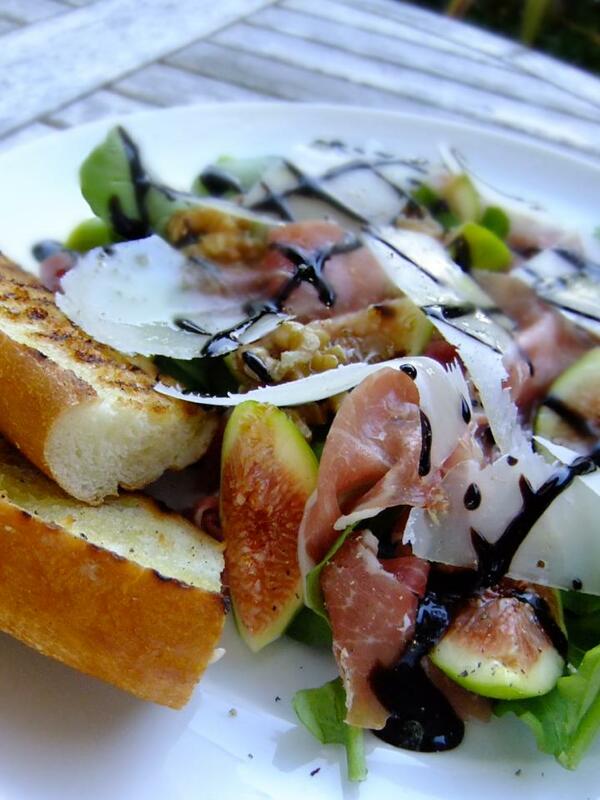 In Cape Town our fresh produce is almost entirely seasonal and when figs come into season you’ve got to make the most of their short-lived availability. 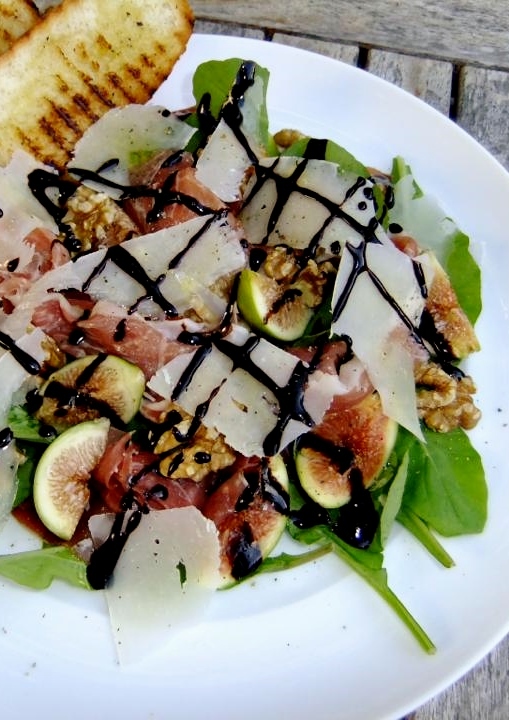 For me, this is the ultimate fig dish; this gorgeous salad is culinary alchemy on a plate and best of all it doesn’t require any cooking (unless you consider toasting some bruschetta cooking!). Some times the most amazing food doesn’t require any effort at all and this little gem of a salad is about as perfect and easy as they come.